American Structurepoint’s innovative cost-saving measures for the design-build I-65 added travel lanes project in Clark County are touted in a March article in Roads and Bridges Magazine. 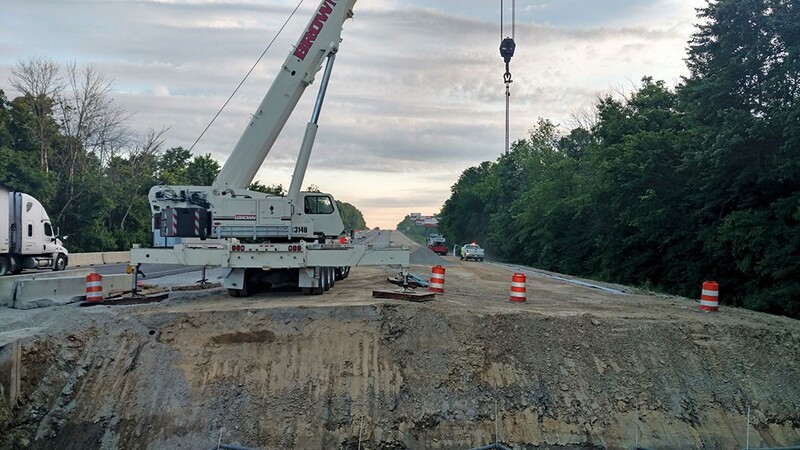 The magazine interviewed Wing Lau and Todd Stout about the project involving a complete reconstruction of an 8.05-mile stretch of I-65, ramp resurfacing and patching at two interchanges, superstructure replacement, and widening of four sets of bridges. Todd discussed our management-of-traffic plan that delivered great cost savings for contractor E&B Paving. Our engineers also completed a pavement thickness evaluation that determined the most cost-effective solution was a mill-and-fill on the shoulders to make them usable as driving lanes during MOT in construction. Our MOT also divided the project into quadrants, which helped to keep the project on schedule. For even more details about the project, including how we dealt with bats roosting in a culvert needing replacement, check out the entire article here.